[Shell to Sea] Below are 2 letters that were sent by Shell to residents living close to the Bellanaboy refinery and raw gas pipeline about their Emergency Response Plan. How many of the Shell propagandists used down through the years have to fill out this form? 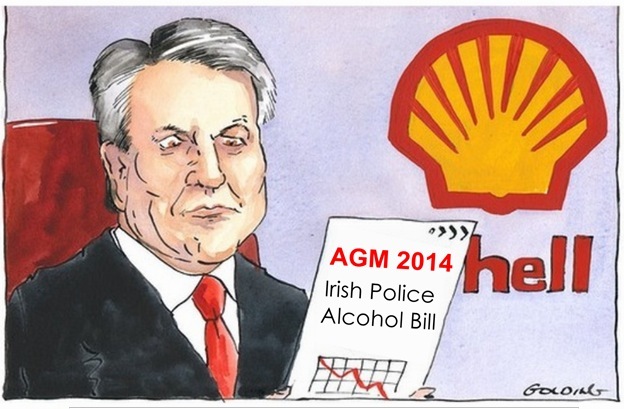 The invoice for the alcohol has been the foundation of a two year blackmailing operation with OSSL bombarding money demands on Shell for alcohol Shell had already paid for in full. Consequently, the OSSL invoice is of huge significance in relation to alleged very serious corruption and associated blackmail on an unprecedented scale. 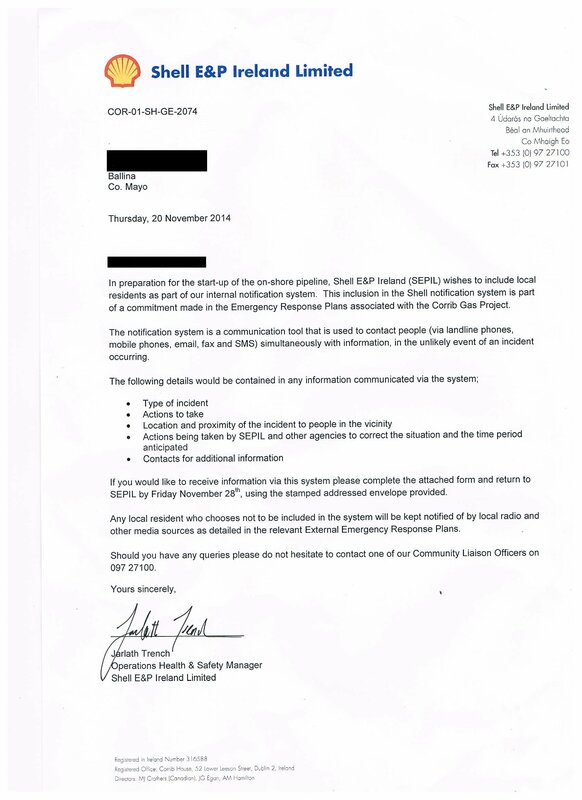 EMAIL FROM JOHN DONOVAN TO FRANCES FITZGERALD, JUSTICE MINISTER OF IRELAND. 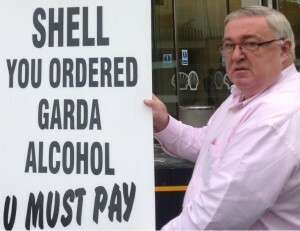 OSSL is demanding payment for over €30,000 worth of alcohol OSSL supplied to Irish cops on behalf of Shell, which says it entered into a full and final confidential settlement with OSSL in August 2012 and refuses to pay them off again. Shell E&P Ireland has begun two months of testing at its north Mayo onshore refinery in preparation for next year’s scheduled production from the Corrib gas field. LOCALS LIVING CLOSE to Shell’s Bellanaboy terminal in Mayo have been warned that loud flaring will take place over the coming weeks. The plant is slowly rumbling into life. Nearby residents were informed that testing of equipment at the plant will continue until January in the new year. Part of this process is testing flare systems, which are used to depressurise equipment before maintenance work is carried out. We at OSSL would like to caution you as the editor of your Shell Blog, about the use of the term blackmail in the matter headlined above. 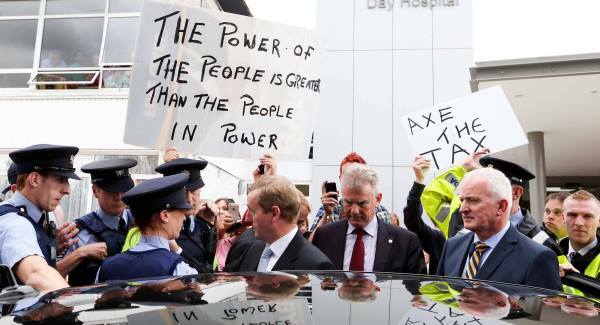 Gardaí brutality in Ireland today, From Shell to Sea, Protests in Dublin on anti austerity and protests on water charges.